Michael Tanner is a senior fellow at the Cato Institute and the author of Going for Broke. You might not know it from listening to the presidential candidates—either Democratic or Republican—but our national debt has not gone away. They have promised all sorts of tax cuts and spending increases, but the words “deficit” or “debt” hardly ever cross their lips. True, a combination of increased revenue and spending restraint reduced last year’s budget deficit to just $439 billion. That may still sound like a lot of money—it is—but, when you consider that the deficit was more than $1.4 trillion just seven years ago, it does represent real progress. But this year the deficit will top $534 billion, an increase of almost $100 billion. And from here the tide of red ink keeps rising. Within just six years, by 2022, we could be back to trillion-dollar annual deficits as far as the eye can see. The deficit is the measure of just one year’s profligacy—add all those deficits together and you get the national debt, which currently tops $19.2 trillion. That’s more than 102% of our gross domestic product. That’s right: We owe more than the value of all the goods and services produced in this country each year. Within a decade, the Congressional Budget Office warns that the gross federal debt will top $29.1 trillion. If you include the unfunded liabilities of Social Security and Medicare, the total debt could run to $88 trillion or more. And what do the presidential candidates offer? Goodies for everyone and nary a tough choice in sight. Donald Trump has said tackling the national debt will be easy. Yet he has put any reforms to entitlement programs like Social Security and Medicare off the table, despite the fact that those two programs account for almost two-fifths of federal spending. Instead he offers vague nostrums about reducing “waste, fraud, and abuse,” a promise made by every presidential candidate since Jimmy Carter. And, while Trump would do little or nothing to cut spending, he offered the biggest tax cut in U.S. history. The Tax Foundation, which takes a favorable view of the economic growth spurred by lower taxes, estimates that Trump’s plan would add more than $10 trillion to the debt over the next decade, before accounting for additional interest costs. In contrast, Ted Cruz, does acknowledge the need for entitlement reform and has called for a number of cuts in domestic spending. But he would offset those reductions with increases in defense spending and tax cuts. Using the same methodology, the Tax Foundation estimates that Cruz’s tax plan would reduce federal revenue by $768 billion over 10 years. While the Republicans want to keep spending while cutting taxes, the Democrats want to raise taxes while spending even more. Bernie Sanders has called for as much as $18 trillion in new spending. Depending on the costs of his health plan, even with trillions in new taxes his plans would add between $2 trillion and $15 trillion to the debt. All of this makes Hillary Clinton look positively abstemious. 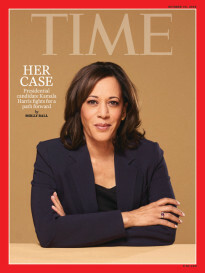 She has proposed some $1.1 trillion in new spending (including targeted tax credits) over 10 years, but would pay for most of it with new taxes. Yet, while Clinton wouldn’t necessarily make the debt worse, she wouldn’t reduce it either. Both Sanders and Clinton rule out any serious effort to reform entitlements. They are both open to increasing Social Security benefits, which would all but guarantee an explosion of new debt down the road. While some might say that paying for spending is better than running more debt, both debt and taxes extract resources from the private sector and turn them over to the government. As Milton Friedman pointed out, the true cost of government is spending, regardless of how that spending is paid for. Who pays the bill might vary, but the burden is the same. The CBO projects that federal spending could consume 34% of GDP by mid-century in its alternative scenario. Add in state and local spending, and government will consume roughly half of everything that we produce. That’s an unsustainable burden no matter whether it’s “paid for” or not. It’s time for the candidates to stop playing Santa Claus. A massive tax cut unaccompanied by spending restraint and entitlement reform is irresponsible. So, too, are promises to spend more, even if accompanied by tax hikes. Big government has become unaffordable. It’s long past time that the candidates faced up to that. 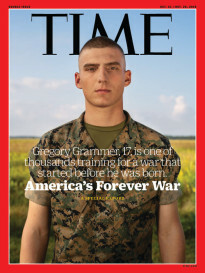 Editor’s note: For his story on the cover of TIME, James Grant based his calculations on everything except what we owe ourselves—$13.9 trillion.